I love dishes like this that are simple, but gorgeous. Just a few perfect ingredients brought together on the plate. 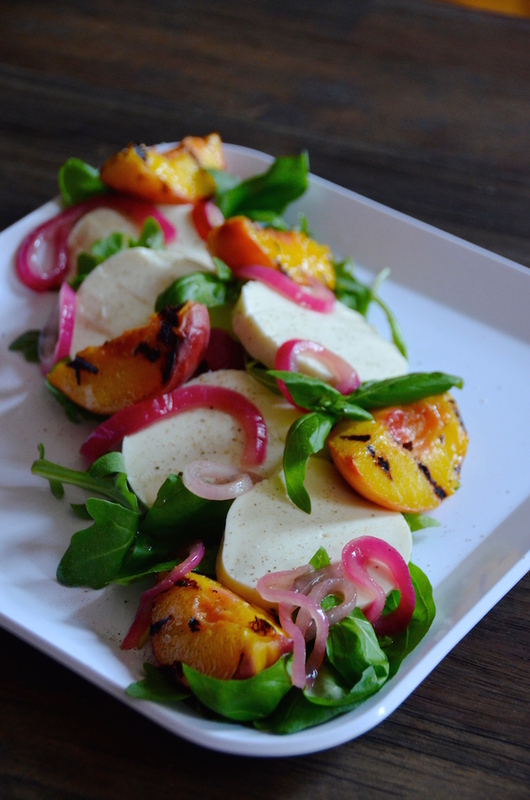 This is a pretty twist on the classic Caprese salad. I swapped grilled peaches for the usual tomatoes and topped the whole thing off with sliced red onions that I pickled quickly in lime juice. I know that might seem like an extra step, but it takes just a minute and is really the thing that makes this salad so special. In other words...do it. Cut peach into 5 wedges, discarding pit (no need to peel). Heat a heavy grill pan over medium-high heat. Brush with oil and add peaches. 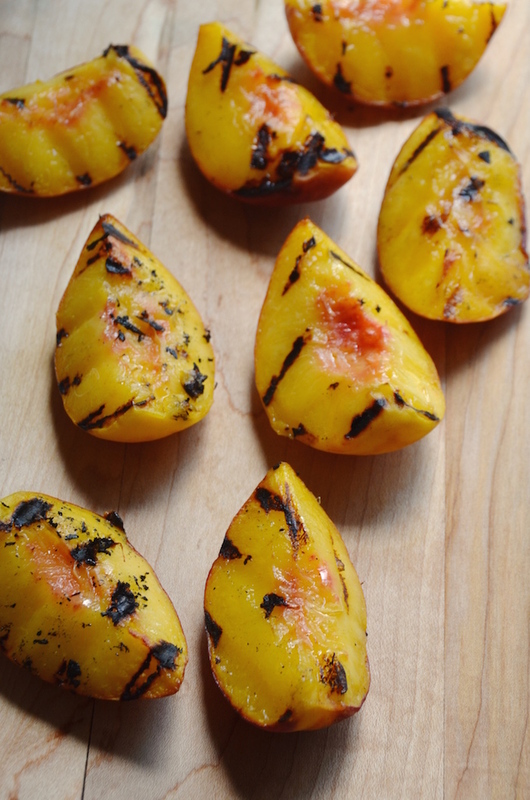 Grill peaches for 2-3 minutes per side until char marks form and peaches are tender. Remove from grill and set aside. Heat 2 tablespoons of oil in a small saucepan over medium-high heat. Add the sliced onions and a pinch of salt, and saute for 3 minutes. Add the vinegar and lime juice and bring to a boil, then remove from heat and let steep for about 5 minutes. To serve the salad: toss arugula and basil with a drizzle of olive oil and arrange on a plate. 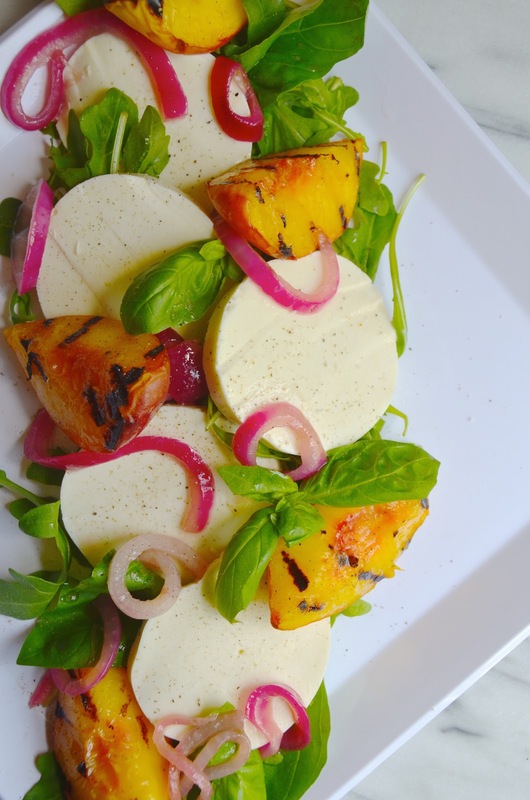 Top with grilled peach wedges and mozzarella slices. 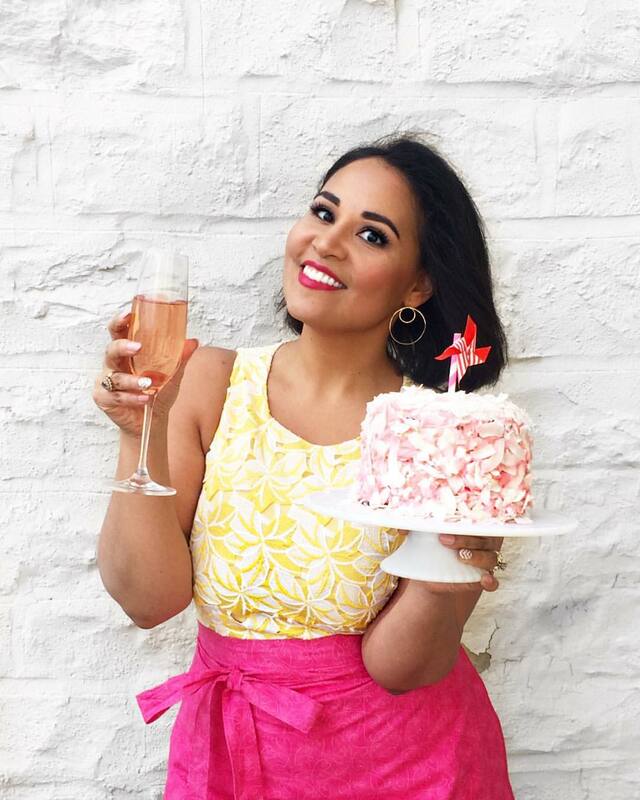 Garnish with pickled onions. Season with salt and pepper to taste. Finish with a drizzle of honey.